We installed a wall topper in Mission Viejo, CA. 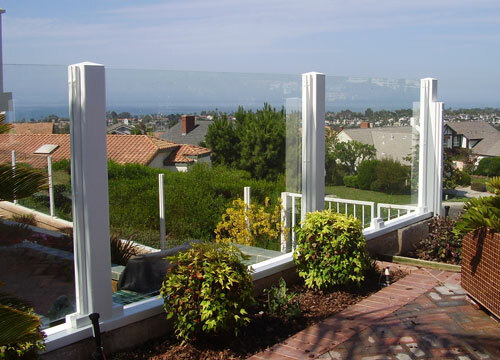 The glass and vinyl wall topper allows the client to still enjoy their backyard's view. 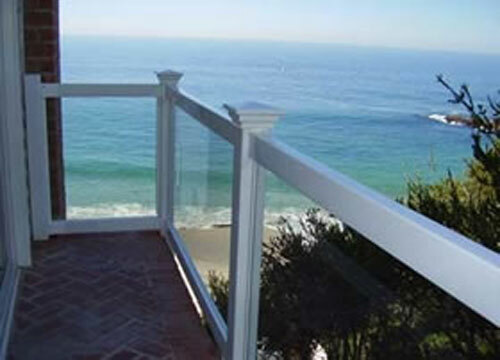 This glass handrail installation in Laguna Beach, CA was completed for a client who wanted to maintain their property's view of the ocean. 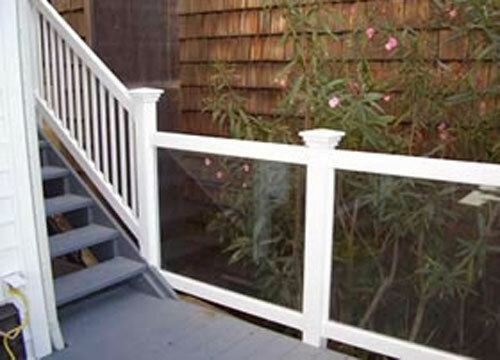 Country Estate Fence installed this vinyl and glass handrail in San Clemente, CA. This client chose to go with a glass handrail with a vinyl frame so they could still keep the view of their garden. Country Estate Fence installed this vinyl and glass wall topper in La Palma, CA for a client who wanted to add height to their existing fence but still keep their view. 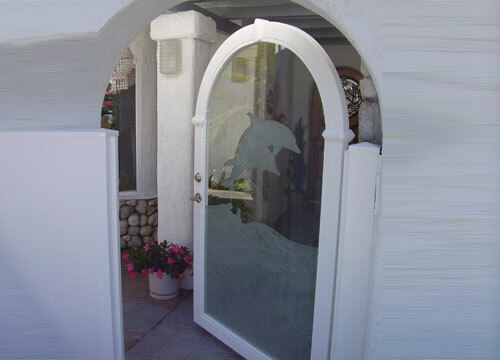 This glass gate in Laguna Beach, CA features a vinyl frame and dolphin design. The client wanted a glass fence so they could look out into their front yard. 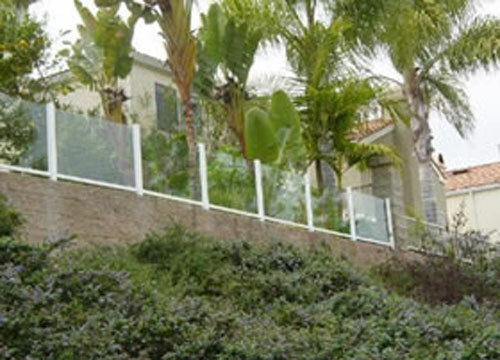 Country Estate Fence completed a residential wall topper installation in Huntington Beach, CA. The wall topper is made from a vinyl frame and glass. The client wanted a glass wall topper to add height to their previously existing structure. We installed a glass wall topper in Rancho Santa Margarita, CA. The wall topper was made from a vinyl frame with glass. The client wanted a glass fence to ensure their children's safety but still maintain their breathtaking view. 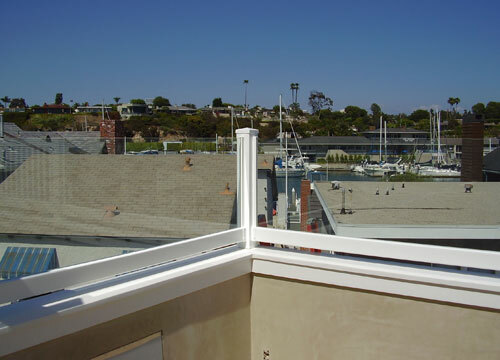 We completed a residential handrail installation in San Clemente, CA. 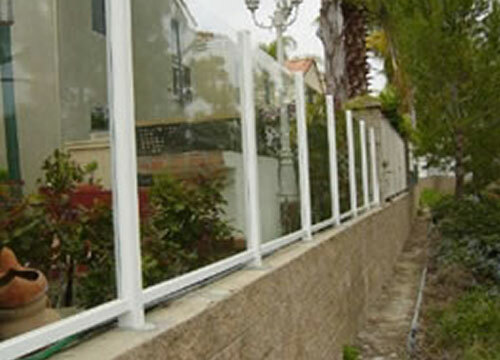 This handrail features a vinyl frame with glass. 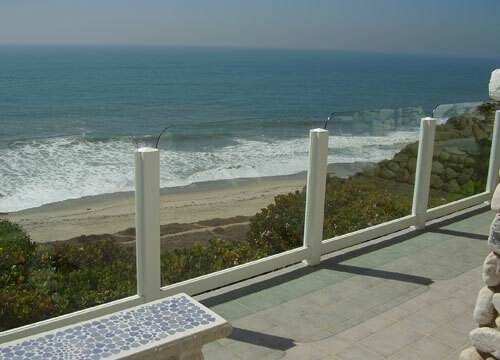 The client wanted a glass handrail to keep their dog safe, but also maintain the view of the ocean.